Anxiety disorders are the most common mental illness in the United States, affecting more than 40-million adults nationwide. With 18.1 percent of adults suffering from this condition and a majority of Americans having endured stressful situations at some point in their lives, it often seems difficult to find a solution to such painful, self-deprecating experiences. Fortunately, former Great Neck resident and author Seth Swirsky has recently published a book detailing simple coping mechanisms that have helped him alleviate anxiety during his most stressful times. 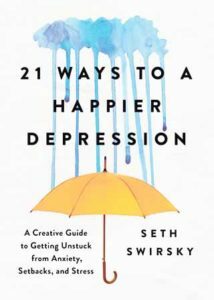 Swirsky combines both text and watercolor artwork in his new novel 21 Ways to a Happier Depression: A Creative Guide to Getting Unstuck from Anxiety, Setbacks and Stress in order to help people develop new strategies for bringing down stress levels and finding a greater worth in waking up each day. At Great Neck South High, Swirsky became interested in music and music performance, going to multiple concerts and writing material. Following college, earning a masters in clinical psychology, Swirsky became a pop songwriter, penning a number of top-10 hits for Smokey Robinson, Air Supply, Olivia Newton-John and Al Green, as well as “Tell It to My Heart” for Taylor Dayne. During his songwriting career, however, Swirsky developed serious anxiety, where coming to work everyday became a struggle. 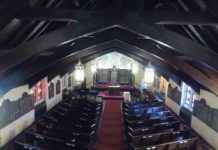 “It was a highly stressed-filled job; I fell into a severe anxiety period where it was very hard to concentrate and function on many levels,” Swirsky said. Throughout this struggle, Swirsky began painting simple shapes in order to help take his mind off work. He soon began to grow small plants in his apartment, changed photographs in his picture frames, wrote letters and rearranged files, all of which helped him reduce his anxiety and feel better about himself. After trying his list of 21 simple coping methods on his clinical psychology patients, Swirsky found that those simple tasks not only helped him, but also greatly helped a majority of his patients. 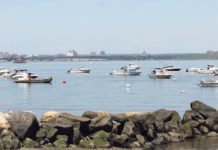 “It’s not the complicated ideas that help people with depression—everything is too complicated to begin with when you feel that way; it’s the simple things that help,” Swirsky said. The author, who released his latest novel in April, had previously written three bestselling books on baseball, all of which consist of handwritten letters between himself and players and fans, including Ted Williams, Cal Ripken, Jr., Whitey Ford, Sir Paul McCartney, President George H.W. Bush and many others. 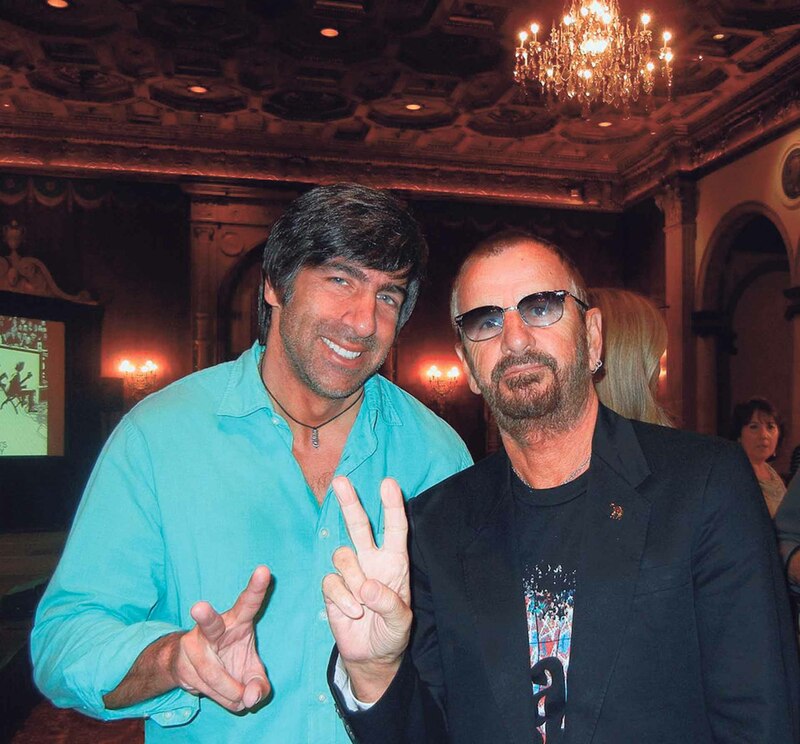 Swirsky also wrote the documentary Beatles Stories, which has won numerous awards and is now playing worldwide. Because of both his prior success in multiple fields and the consistently positive results of his 21 coping mechanisms, Swirsky’s book sold fast and is now in its third printing. 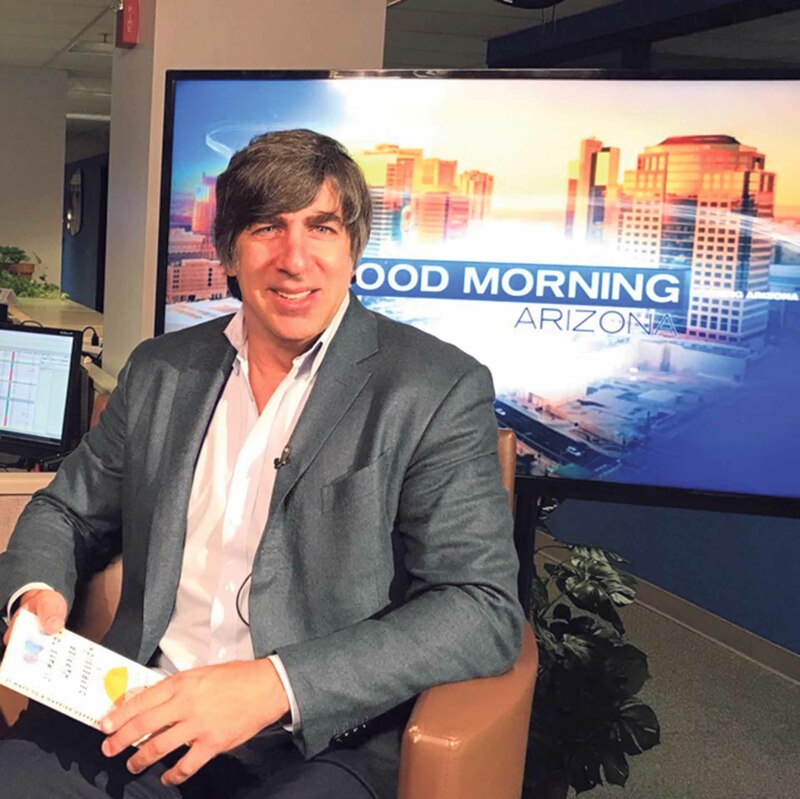 Swirsky has been featured on popular morning television programs in both Kansas City and Phoenix, and has had book signings in Memphis and Nashville. “To read letters from people all over the world who said my book has helped them is extremely gratifying—even more gratifying than hearing one of my songs on the radio,” Swirsky said. 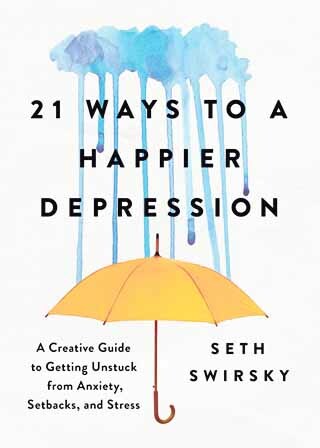 21 Ways to a Happier Depression is available online at Amazon and Barnes & Noble.